A structure, such as an arbor, with a roof of trelliswork. 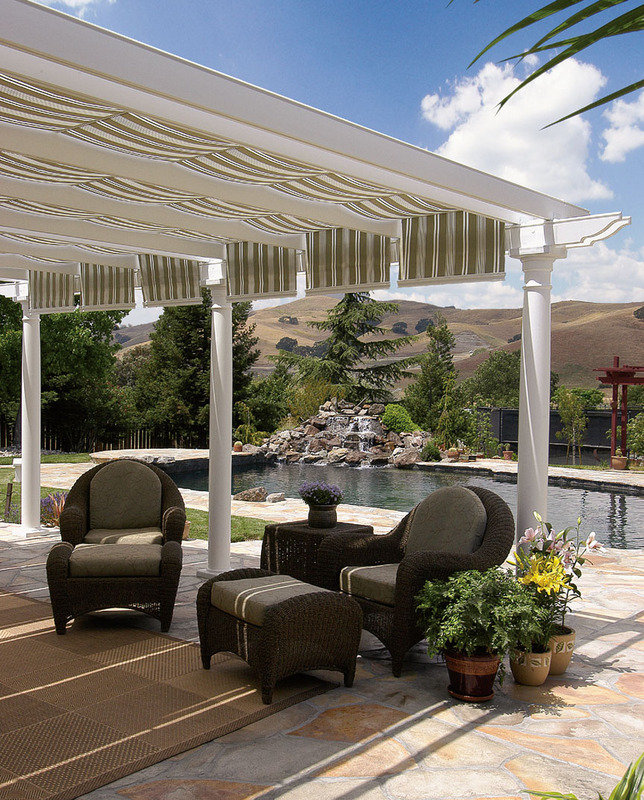 Our outdoor, rain-proof shade solutions are the finest from any pergola builder, anywhere. 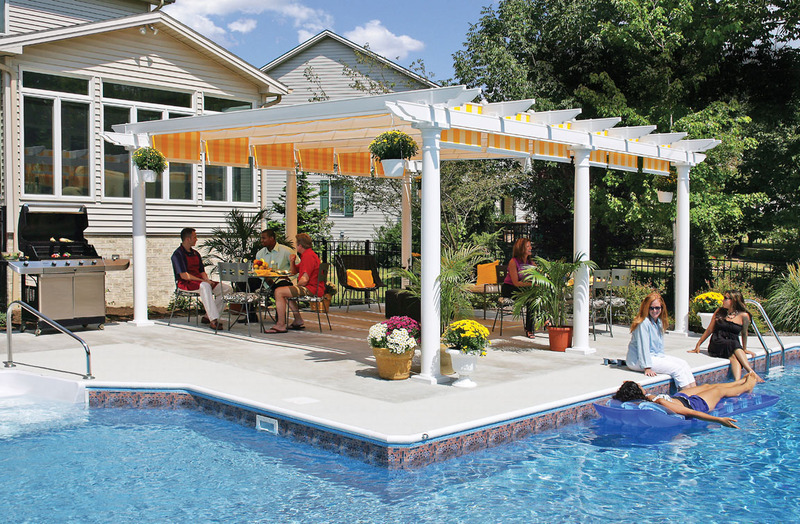 The ShadeTree® pre-cut, pre-drilled vinyl covered pergola kits feature low-maintenance vinyl beams and columns with shade-providing pergola covers between the rafters. Functional and attractive, ShadeTree Canopies are available in your choice of over forty handsome, commercial-grade, outdoor fabric colors. 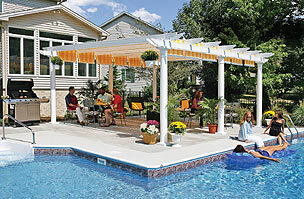 Our Attached Pergola and Covered Pergola kits are easily removed for occasional cleaning or winter storage. The white or beige vinyl is virtually maintenance-free and termite-proof. 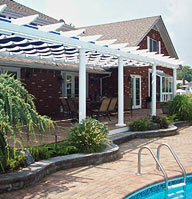 Custom-designed vinyl, covered pergolas with shade add visual appeal and resale value to any property! Available with three column styles: round columns, square columns, or 4"x4" vinyl posts. 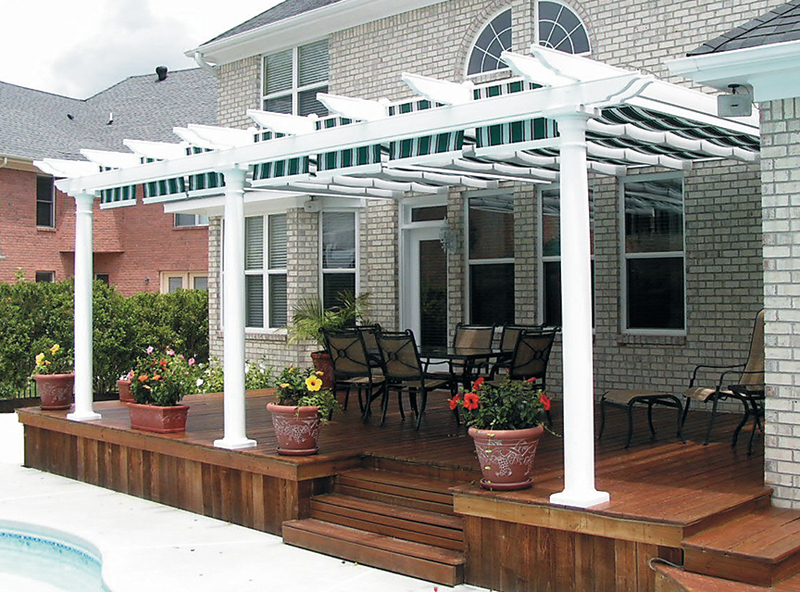 Call today and work with our design consultants to create the shade pergola that fits your architectural style. 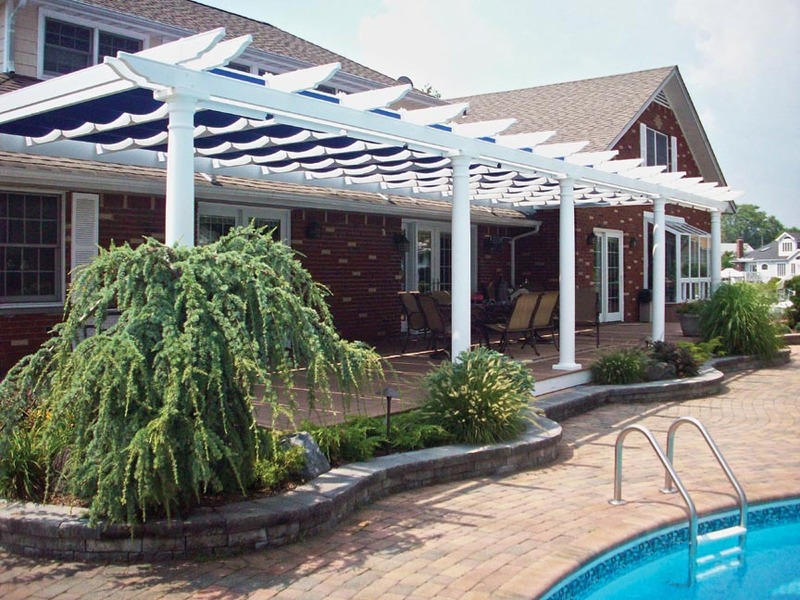 Our pergolas, attached pergolas, pergola kits, covered pergolas and pergola covers can be used as a free-standing shade structure, or attached to your house or building. Custom-made to any size to fit your deck or patio and the flexible, modular design allows the system to fit odd-shaped decks or patios. 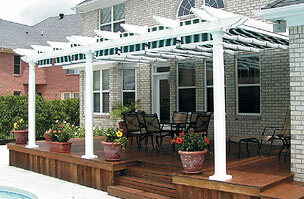 Spans up to 21' to cover large areas! Canopy and track kits are available to fit under or between the rafters. 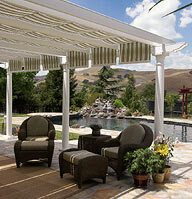 For more information visit our pergola shade pages.